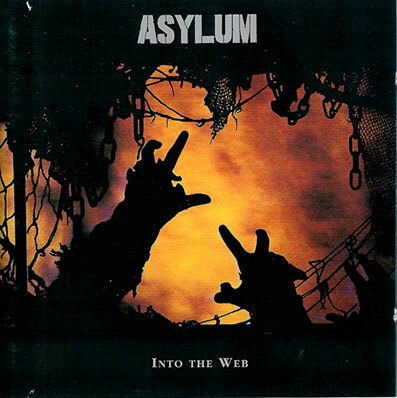 Asylum was a band from Reading, UK. They formed ca. 1988 and released 2 albums. Just before the 3rd entitled "Vent", they split. 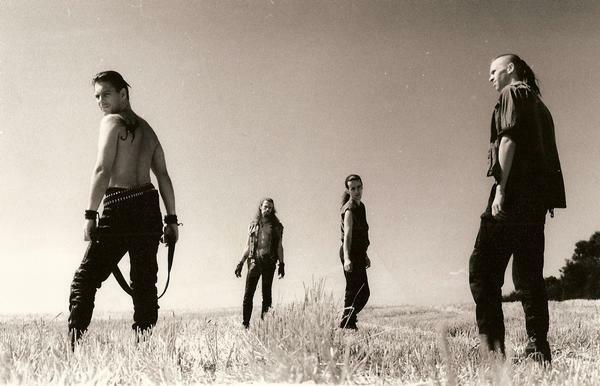 Their former guitarist Dave Blomberg joined N.M. Army in 1993 and stayed for 12 years. Here's a pic of the band and their 2 LPs front sleeves. 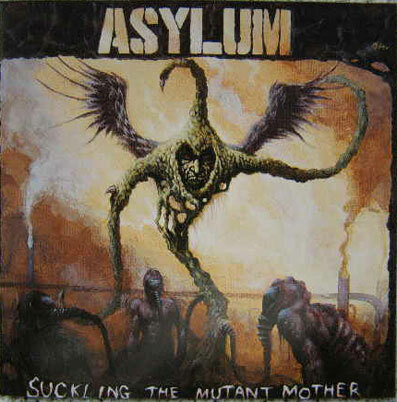 I was pleasantly surprised to find "Suckling the Mutant Mother" on Amazon. 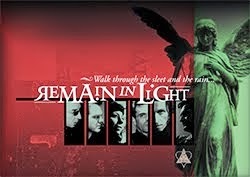 I have had their Deeper and Deeper track in my car for years since it was featured in "Touched By The Hand of Goth Volume 1" from way back in 1995 [it was a compilation cd from a 4 volume serious, I have the full set and have always thought the first was the best of the 4]. But the rest of their discography appears to be unavailable right now unless you can find a used copy floating around somewhere. I was hoping Amazon would have the rest since the first release was added to Amazon's digital downloads service just two years ago. Their myspace has a few tracks for streaming but the account appears to be inactive for some time and they never setup to sell tracks through myspace. According to discogs they also had a 7" single in '92. I have a cassette dated 1989 called Suckling the Mutant Mother with a different cover to the one pictured above. The Tracklisting is as follows:Side1:System Overload, Celestial Mutator.Side2:Deeper & deeper, Blood of your innocence.